While most Hermosans were battling an unusually humid Labor Day weekend, Randy Chambliss and his wife D’Marie were in considerably more hostile weather patterns. The two Hermosa residents had ventured to Houston in the wake of Hurricane Harvey. They were volunteering with Samaritan’s Purse, a Christian international relief agency. Their story is one of many ways that the city’s residents are rallying to help those affected by the recent severe weather events. Chambliss spent the past week in South Houston and the neighboring city of Pearland. (He spoke from Atlanta, where he and his wife were trying to decide whether to return to Houston or head on to Florida to help those affected by Hurricane Irma.) Chambliss said most of the homes there had “between 4 and 8 feet of water” in them, and that Interstate Highway 10 was “like a river.” Once the flood waters had receded enough for people to re-enter their homes, he and his wife helped them repair the damage. Along with mold treatment, this often meant disposing of most of a home’s contents. “They basically have to empty out their house of all their possessions: Furniture, everything they own. We would go into neighborhoods where every single house had these huge piles of debris out on the street,” Chambliss said. The timing of the hurricane over Labor Day Weekend meant that Samaritan’s Purse could call on an unusually large number of volunteers who had a break from work, Chambliss said. As many as 1,200 were on the ground. Chambliss and his wife are frequent volunteers with Samaritan’s Purse and with Saddleback Church. In recent years, they have helped those displaced by California wild fires, and traveled to Greek islands to aid refugees fleeing the civil war in Syria. Unlike past trips where they were helping first-time disaster victims, many of those in Houston had been in floods before, Chambliss said. But their resolve eventually crumbled in the face of the devastation. “By the time you start to talk to them, they take a look at the damage and they get pretty emotional, upset. They’re just not real sure what’s going to happen,” he said. Betsy Ryan had a star-shaped vision to help those affected by hurricanes. 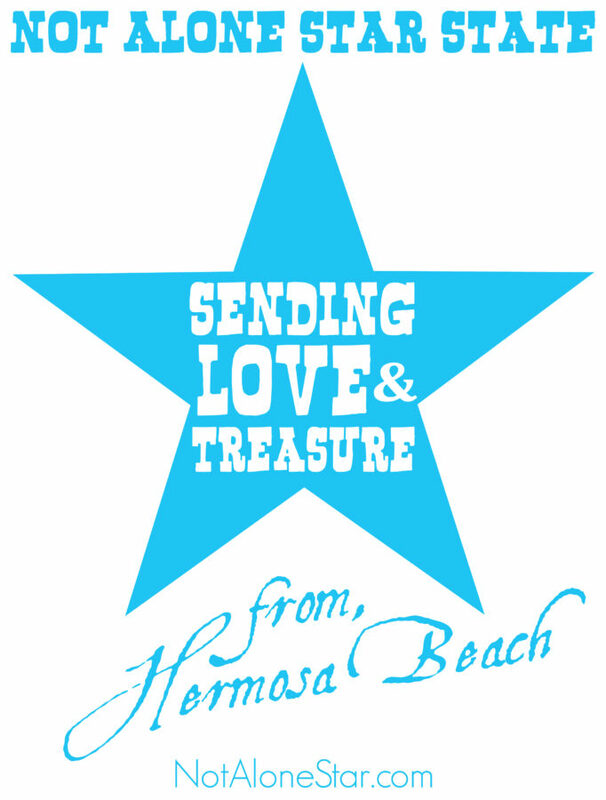 Inspired by Texas’ “Lone Star” nickname, the Hermosa resident and serial philanthropist devised the “Not Alone Star” paddleout to raise money for those affected by Harvey and Irma, as well as the public safety personnel responding to the disasters. Ryan is planning an Oct. 1 paddleout in which local artist Paul Roustan will organize what Ryan hopes will be 500 participants in the shape of a giant star in the water near the Hermosa Pier, then take a drone photograph. Paddlers will pay or find sponsors for an entry fee, and then sell the unique image as a keepsake; all proceeds will go Mercury 1, which is helping to deliver meals, medical supplies and more to those in the disaster zone. On the day of the paddleout, many businesses in the downtown area will also donate a portion of their proceeds to the cause. Soho Yoga gives out bliss regularly from its Hermosa Avenue studio. In the wake of the hurricanes, they decided to send some a little farther afield. 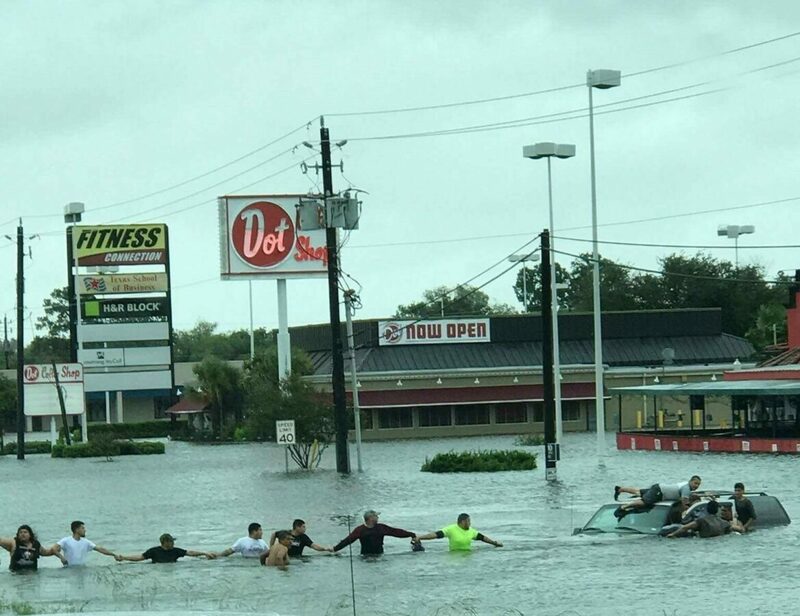 “The people in Texas and Florida, they’re out of their homes, their schools, the places they eat. Here we are in this gorgeous location. We’re so blessed, how could we not do something?” said Soho General Manager Pete Niva. Both the Hermosa studio and the recently opened Soho location in downtown Los Angeles donated the proceeds from their community classes the previous weekend to hurricane relief. They also promoted a special class last week on social media. The class’ proceeds went to hurricane relief. And they partnered with yoga apparel brand Lululemon to secure matching donations. The giving spirit extended to the studio’s yogis as well. 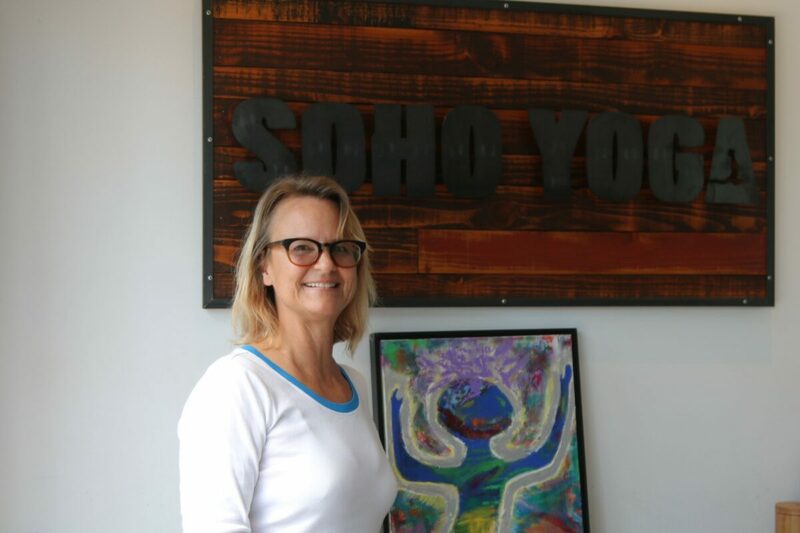 Hermosa resident Lisa Pedersen is an artist and a regular at Soho’s classes. Pedersen donated a painting entitled “Begin Anew” that the studio will auction off for Harvey relief. And she is at work on another painting that will also be donated to raise funds for victims of Irma.